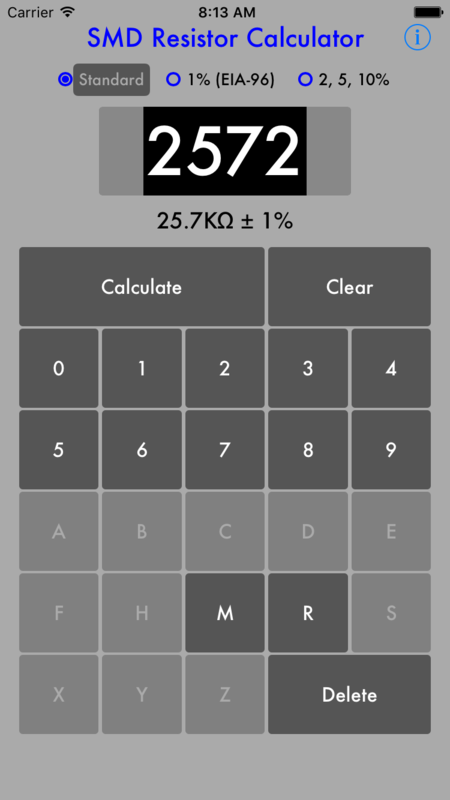 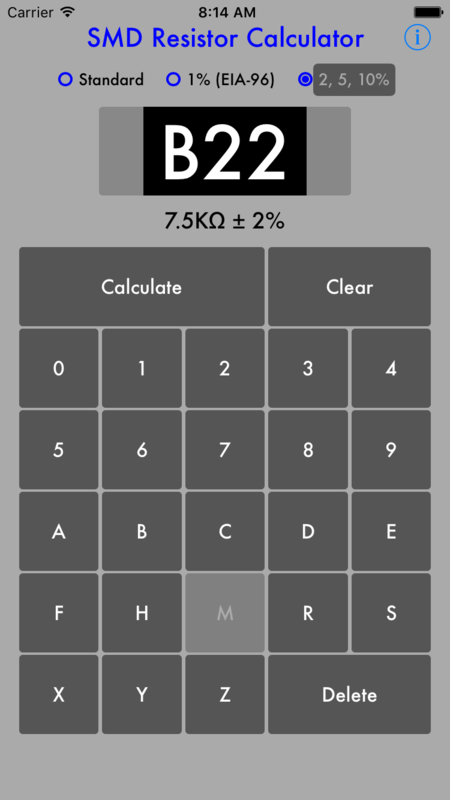 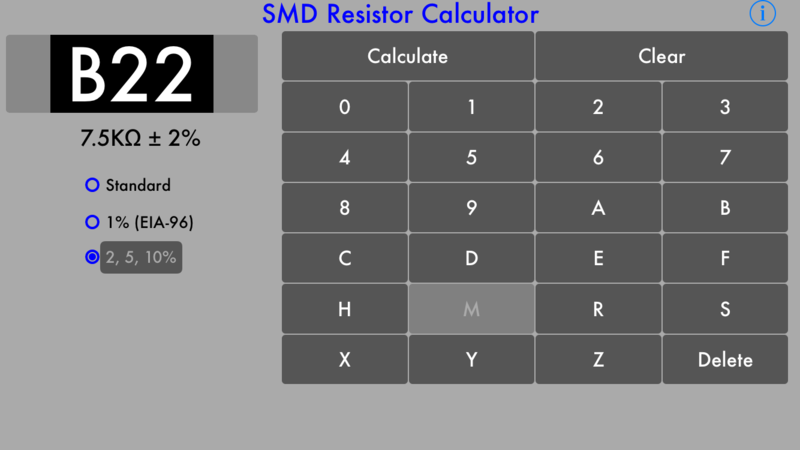 This simple and accurate calculator for your iPhone or iPad, will help you determine the value of any SMD resistor. 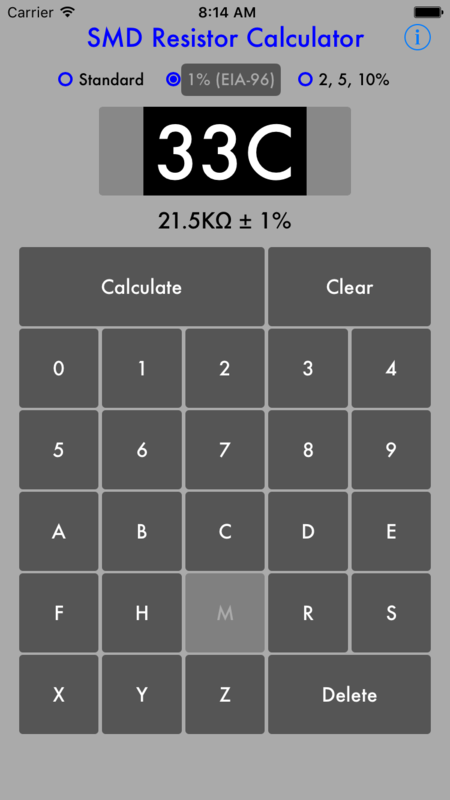 To get started, input the 3 or 4 digit code and hit the “Calculate” button. 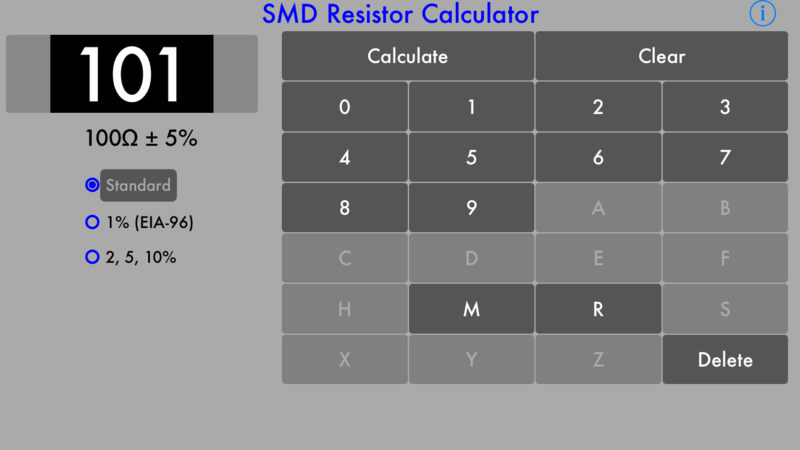 How to calculate the value of an SMD resistor.